Q: Can I Expect to Be Awarded Maintenance by the Court? A: Divorcing spouses are free to make their own agreement regarding maintenance payments. If they cannot agree and ask the court to decide, Illinois law sets forth specific guidelines for calculating the amount and duration of maintenance payments (750 ILCS 5/504). An award of maintenance is not automatic, no matter how many years you have been married. The court must first decide whether maintenance is appropriate. If the requesting spouse has been primarily a homemaker for many years, the court is more likely to award maintenance, usually with an eye toward helping the requesting spouse update their job skills and obtain employment. On the other hand, if the requesting spouse has a good job and earns enough money to maintain a standard of living similar to that established during the marriage, the court is much less likely to award maintenance. Q: How Does the Court Determine the Duration of Maintenance? If the marriage lasted less than five years at the time one party filed for divorce, the duration of maintenance should be 20 percent of the length of the marriage. The multiplier rises by 4 percentage points for each additional year. If the marriage lasted five years but less than six, the multiplier is 24 percent. For a marriage of 10 years, the multiplier is 44 percent or 4.4 years of maintenance. For a marriage of 20 or more years, maintenance may be equal to the length of the marriage or for an indefinite or reviewable term. Unless the divorce decree specifies that the amount and duration of maintenance are unmodifiable, either spouse can petition the court for a modification in the future if there is a significant change in the recipient’s needs or the payor’s ability to pay. Q: How Does the Court Determine the Dollar Amount of Maintenance? A: For 99 percent of couples, the Illinois guideline for calculating maintenance is: one-third of the payor’s net annual income (after taxes) minus one-fourth of the recipient’s net annual income, but not to exceed 40 percent of the parties’ combined net income. For example, suppose the husband has a net income of $120,000 per year and the wife has the potential to earn $40,000 per year. Forty percent of their combined net income of $160,000 is $64,000, so the maximum the husband would be required to pay the wife is $24,000. One-third of the husband’s income is $40,000, and one-fourth of the wife’s income is $10,000, resulting in an expected annual maintenance amount of $30,000. However, this would give the wife a total income of $70,000, exceeding the $64,000 limit, so the husband would only need to pay $24,000 per year. The court may deviate from these guidelines if it specifically states its reasons for doing so. For example, the wife might need additional training to renew her professional license and enable her to return to work in her prior profession, and the husband might be asked to pay for that. 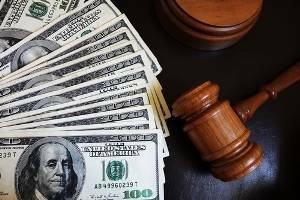 An experienced Lombard divorce attorney from Mevorah Law Offices LLC can best advise you regarding the amount and duration of maintenance you can reasonably expect to pay or receive in your divorce settlement, as well as alternatives to maintenance such as awarding one spouse additional assets in the marital property division. Call us at 630-932-9100 for a free initial consultation today.